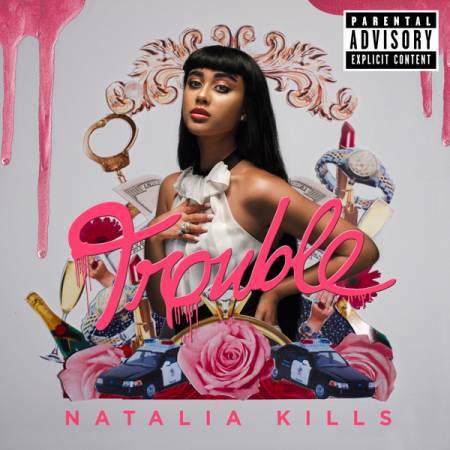 Natalia Kills представила свой второй студийный альбом Trouble. iTunes версия альбома включает 13 треков и 13 страниц цифрового буклета. 2013 release from the Alt-Pop singer/songwriter. Written and recorded in collaboration with renowned producers Jeff Bhasker (Kanye West, Jay-Z, fun.) and Emile Haynie (Lana Del Rey, Kid Cudi, Eminem), Trouble combines Natalia’s razor sharp lyrics with her unique and robust vocal delivery. These propel her music into even wilder territory than that on her acclaimed 2011 debut Perfectionist which spawned two top 10 hits in Europe. The iTunes version is mastered for iTunes and includes a 13-page digital booklet.